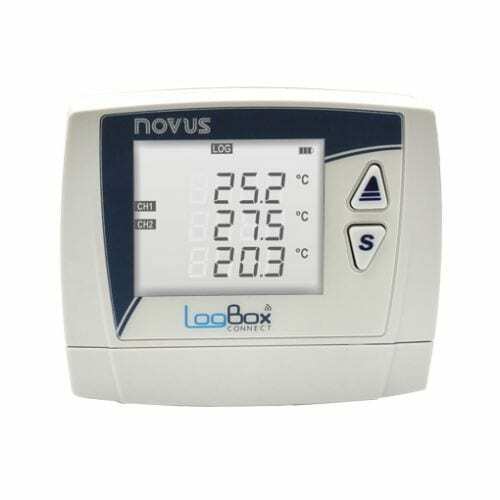 The LogBox Wi-Fi Wireless 3 Channel Data Logger provides 3 universal analog inputs, 1 digital input and 1 digital output with wireless Bluetooth and compatibility with the NOVUS Cloud web portal. The universal inputs accept thermocouples and RTD’s for temperature plus voltage and 4-20 mA signals. 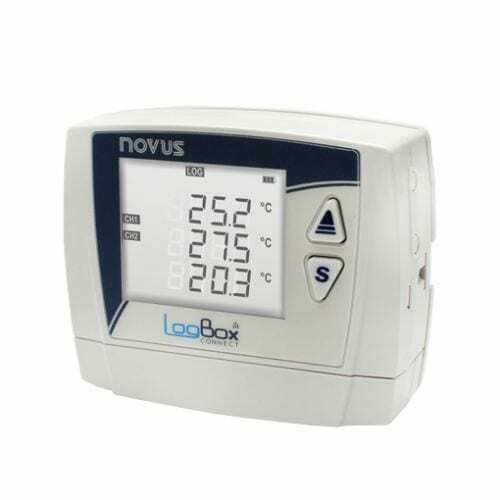 The LogBox can store up to 140,000 points in internal memory and also features a large display and removable bracket and connectors. Configuration and data downloading can be performed with the Windows software NXperience, which can access the LogBox via the network or USB connections. The LogBox Wi-Fi also provides support for Modbus TCP communication to SCADA systems and MQTT for integration into Internet of Things (IoT) applications. Nxperience Windows software is the main tool for configuration and data download of theLogBox Connect. All parameters and features can be adjusted through LogBox network or USB interface, turning NXperience into a powerful tool for data analysis, graphical view, mathematical formulas creation and report generation.